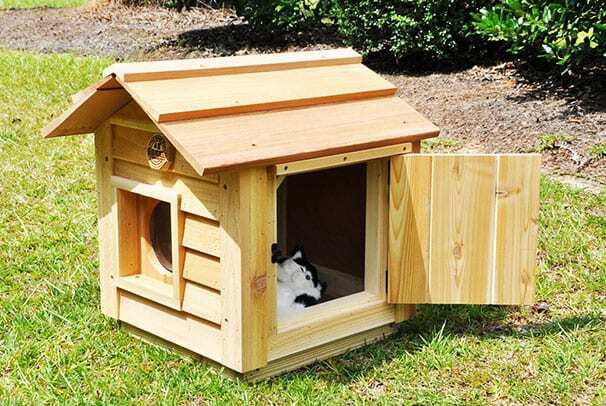 Custom Dog House & Outside Cat House - Customize with AC/Heat/More! 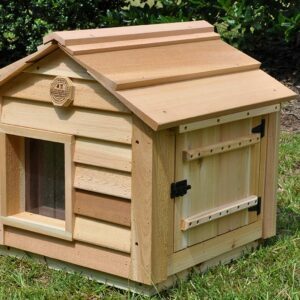 We are a family-owned and operated business in South Carolina that was created to fill the need of dog owners for quality custom dog houses. We also build outside cat houses! Outside Cat House from Us? 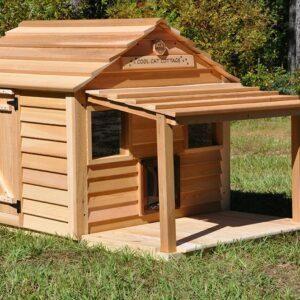 Blythe Wood Works was the only custom dog house and outside cat house manufacturer on the Internet in 1998. We were the first, we are the original, authentic American craftsmen making customized dog houses still today! Made in America, by Americans, with American-made products. 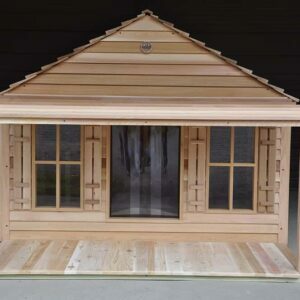 Our custom dog houses and outdoor cat houses offer options like air conditioning, heat, windows, porches, and raised foundations to provide your dog or cat exceptional comfort in their new home. 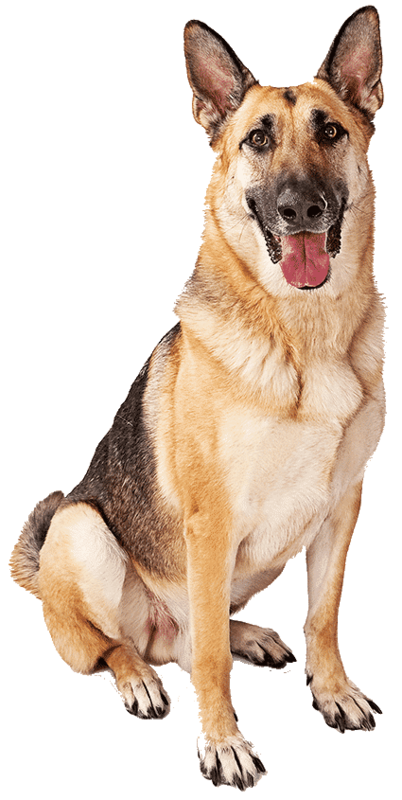 We have the option of insulated dog houses, and seal-safe doors, so your heated or cooled dog house can be energy efficient. All of our pet houses have #1 grade clear siding, 2x2 framing with diagonal bracing, and lifetime wolmanized, pressure treated floor joists. Our nails are stainless steel, ensuring no corrosion, rust, or bleeding. Our screws are ACQ powder coated, making them rust and corrosion proof. Each dog house is handmade (cat houses too! ), and signed by the craftsman. 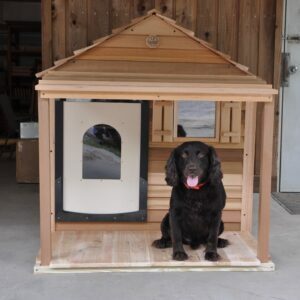 We engineer, design, and field test every premium custom dog house and outside cat house in our product line. We offer more accessories and options than any other manufacturer. We have large dog houses for sale that fit even the largest, 200+ lb dog! We're a Christian-based company that's been in business for over 25 years. the best, Blythe Wood Works! 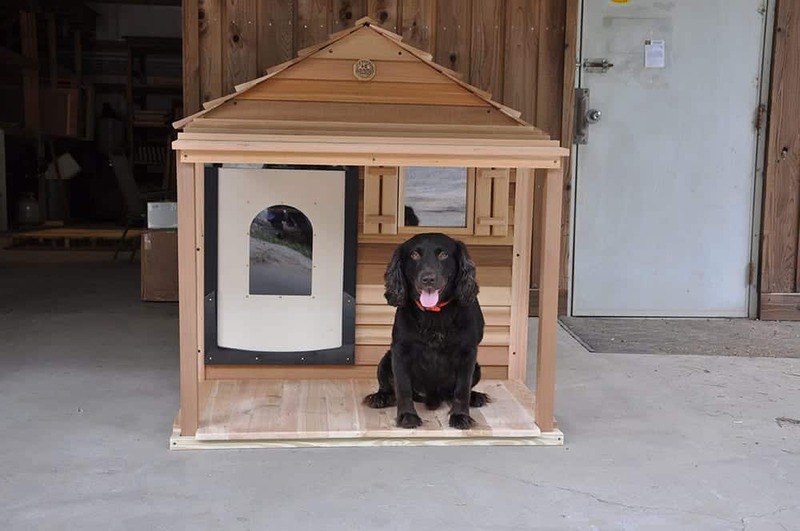 All of our dog houses are custom made, and offer options to provide a climate controlled comfortable environment for your dog. 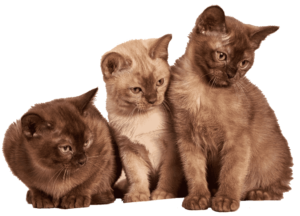 We have outside cat houses for one or more cats, built with quality construction, and insulated for comfort. Our Testimonials Say it All! We are thrilled with the dog house and the assembly was a "piece of cake" as advertised. The dog house is exactly what we expected, and we could not be happier with our choice of suppliers. Thank you so much for the excellent product and the great service. Our dog is an Alaskan Malamute named Klondike (Kody) Kobuk. He is 14 months old and full of energy, some of which he takes out on his house. We bought the large house with a porch and Kody loves it. Here's a pic of our pup "Coen" and his new dog house! Thanks again for the GREAT product! We just had 3 days of rain. Tiffany stayed completely dry. I hinged half of the roof so I can just lift it up to get inside... Tiffany spends lots of time on the porch. It's really AWESOME!!! I received the house yesterday and just put it together and it is WONDERFUL. Woody is already asleep in it and is comfortable. The ease of installation is incredible. My boys Kolby and Eli are loving their 2 dog house. I love this dog house. It is such high quality. Finally, after all the snow this winter, Fergus can "move in" to his new dog house. He says many thanks, and is going to really enjoy the outdoor comfort.